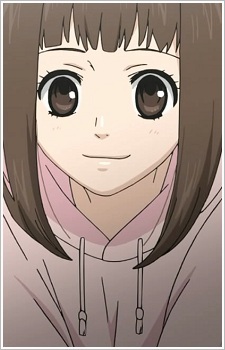 Yamato's younger sister. Like Mei, she doesn't trust in people and friendship. Nagi is excelent in the kitchen and she can cook almost everything due to the fact that cooking is one of her hobbies. The other one is sew, and Nagi has a lot of stuffed toys in her room that she made by herself. Nagi was part of a group of girls that she called friends, until the day she discovered that these girls were only using her and didn't really think of Nagi as a friend. She then started to avoid going to school and talking to anyone aside her family, turning into a hikikomori. The only one that Nagi really trusts is her brother, Yamato, that took care of her and encouraged her when she was lonely, giving her a rabbit doll that she later gave the name of "Yamato #2", since she talks to the doll when her brother isn't home. At first, Nagi desliked Mei since she thought Mei was a weird girl that wasn't good for her brother, but after talking to Mei about her problems and hearing Mei's advices, Nagi started to like her a lot. When she befriends Mei, she gives one of her handmade teddy bears to her, so that he can be Mei's like Yamato#2 is hers. Nagi and Mei exchange e-mails from time to time, specially about cooking tips.